Ukulele Won’t Stay in Tune? Here's How to Fix it in One Minute! Is your new ukulele not staying in tune? Or maybe you just put on a new set of strings and are having trouble getting the strings to stay in tune? Don’t worry! Ukulele tuning problems are very common. In most cases it only takes a minute to fix the issue. There are a few reasons why a uke won’t stay in tune, but most of the time it’s the strings. Most ukulele strings are made of a synthetic material that is extremely stretchy. This quality is what gives the uke its sweet harp-like tone, but it also means that new strings will continue stretching for a while before they stabilize. It’s completely normal for new strings (or the strings on a new uke) to go out of tune frequently as they “settle in.” This isn’t the sign of cheap or defective strings—it’s just the way uke strings are! Eventually, your strings will stop stretching and will require less frequent tuning. This process can take a while depending on the type of strings and how often you play. This should help dramatically, but your uke will probably still drift out of tune as you play. If this happens, simply repeat the whole process again. After I install new strings I often perform this “tune and stretch” routine multiple times to get my strings settled in quickly. To me, it’s just part of the ritual. Your uke strings will eventually stabilize, but this doesn’t mean you’ll never need to tune your uke again. All stringed instruments need to be regularly tuned, and ukes are especially prone to falling out of tune due to their extra-stretchy strings. Even after the strings have settled in, slight changes in temperature and humidity can cause the uke to slip out of tune. Get used to tuning your uke, because you’re going to have to do it a lot! The more you practice tuning, the quicker and easier it will be. I usually tune my uke before every play session, and it only takes 30 seconds when using a good clip-on tuner. I recommend checking out the Snark SN-8–it’s fast, accurate, and cheap. Strings are almost always the cause of tuning issues, but occasionally there’s something else happening that can cause your uke to go out of tune. As strings age, they start to lose their stretchiness, which can lead to tuning instability. There’s no hard and fast rule regarding when you should change your strings (that’s a topic for another article) but I’d say if your strings have been on your uke for more than six months and you’re having tuning issues, you should consider getting a new set. I’m personally a fan of Aquila Nylgut strings. Just make sure you get the right strings for your ukulele’s size, which will most likely be soprano, concert, or tenor. If you’re an aggressive strummer, ​you’ll notice your uke going out of tune more often. Hard strumming causes the strings to stretch, which makes them go flat (drop in pitch). Gentle strummers and fingerstyle players tend not to have as many issues with tuning. Hard strummers may want to experiment with different strings. The Aquila Nylgut strings that come on many new ukuleles sound great, but nylon or fluorocarbon strings might be more stable and are worth looking into. When a ukulele won’t stay in tune, many players assume there is an issue with the tuners. This is rarely the case! 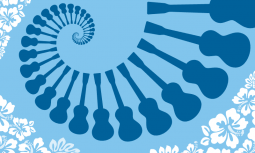 Nearly all modern ukulele tuners are geared using a system known as a worm drive. This unique gear system is designed to make it impossible for the shaft to spin backward. Even the cheapest ukulele tuners will not unwind under normal conditions. In fact, the only time I’ve seen geared tuners go backward is when the gear’s teeth have been damaged from meshing improperly. You can test your tuners by tugging on the string and watching the tuner shaft. A properly working tuner won’t rotate backward no matter how hard you pull. If it does turn, you probably have a damaged tuner and will need to look into a repair or replacement. 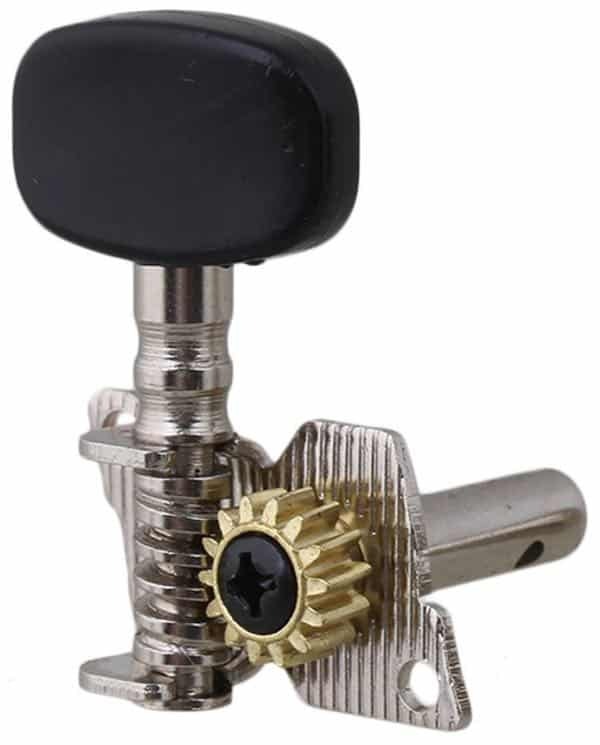 I’d recommend Grovers for a good, inexpensive set of replacement tuning machines. Geared tuners are also called machine heads or tuning machines. 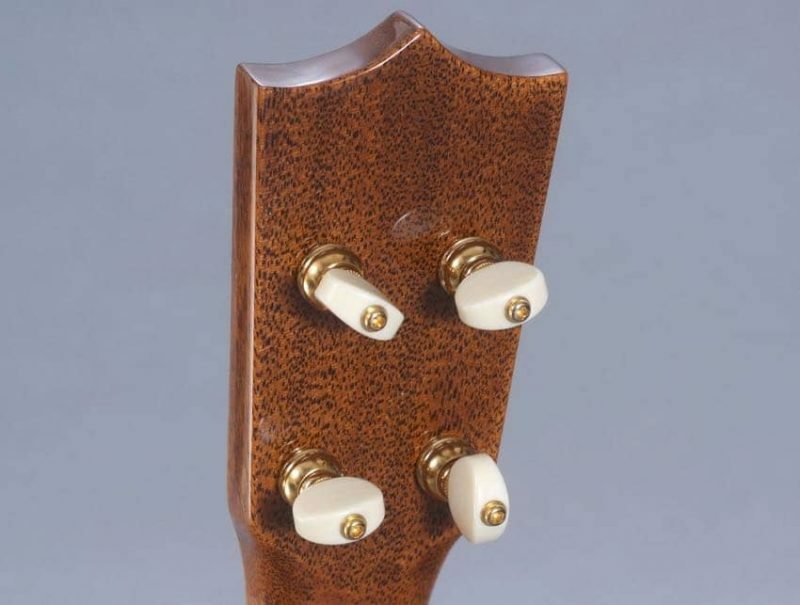 Friction tuners are most common on older ukes, but you will find them on some new instruments. The button of a friction tuner has a small screw. This screw adjusts how hard the button’s base pushes against the headstock, which controls how tightly the tuner will hold. Unlike geared tuners, friction tuners can actually rotate backward, causing the uke to go out of tune. This is usually easy to fix by tightening the screw until you find the right level of tightness where the button is snug enough to keep the uke in tune but not so tight that it’s difficult to turn. 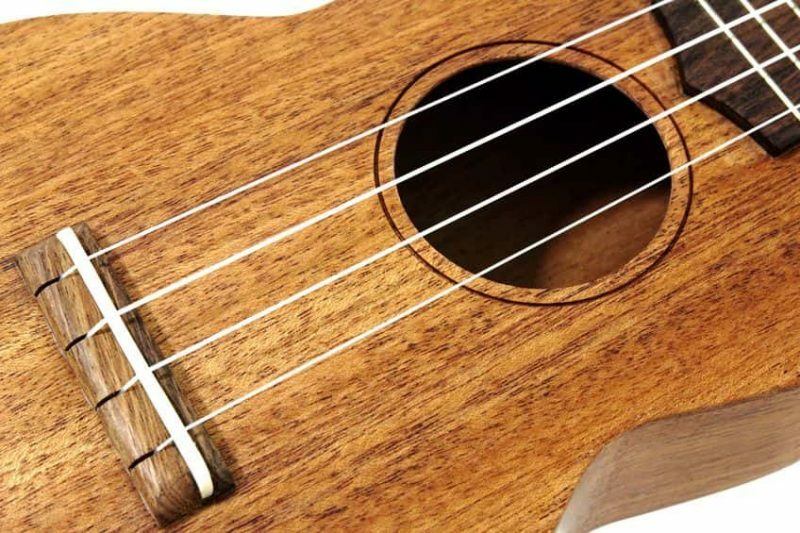 Structural issues are the least common cause of ukulele tuning troubles, but it’s important to know what to look for. Issues like a lifting bridge or separating heel joint can affect a ukulele’s ability to stay in tune. Let’s use a lifting bridge as an example. As the bridge pulls up, the string tension decreases and the ukulele goes flat (down in pitch). Tightening the strings brings the uke back into tune, but the increased tension will slowly pull the loose bridge up even further and the uke will eventually go out of tune again. These issues can be fairly easy to spot. Simply inspect the bridge or neck joint for lifting or separating. When inspecting the bridge, it can be helpful to slide a business card around the edge to see if it slips under the bridge. If any of the glue joints aren’t tight and solid, you might have a repair situation on your hands. These problems are rare, so you should focus on the other solutions before running down to the repair shop. Most new ukuleles come with a warranty to the original owner. If you do experience a structural issue, check to see if you can get it fixed or replaced for free by the manufacturer.